In science class I learned the different elements that humanity has discovered so far. We also learned that each atom has a specific spot on the periodic table. For an example, all the "white" elements are solids, the "blue" elements are liquids, and the "pink" elements are the natural gases. All the "yellow" elements are artificially made, meaning their not natural, they're man made. 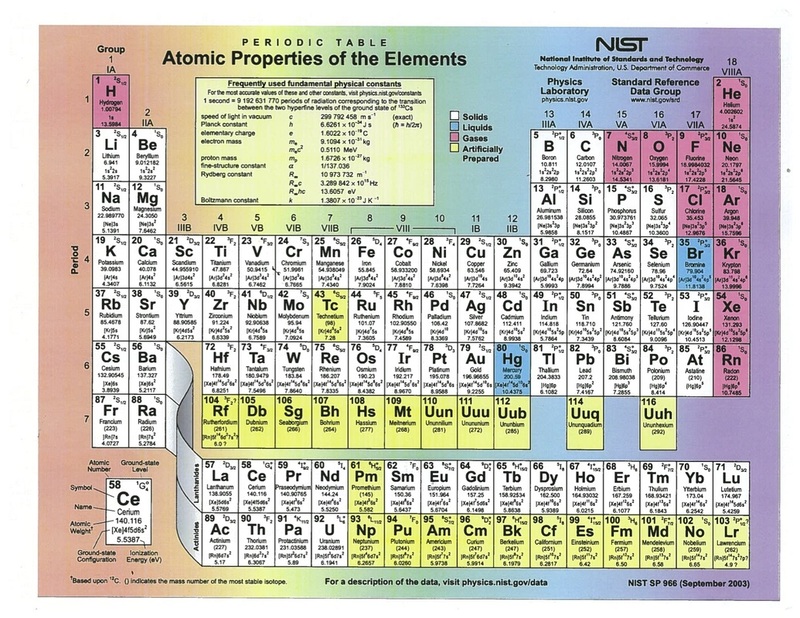 Another reason why all the elements are at a specific spot on the table is because of their atomic number. This atomic number helps organize the table and helps people find a certain element that they are looking for.